PJ Fritchman Joins BendTel | BendTel Inc.
PJ Fritchman has recently joined BendTel in the role of Senior Account Executive and Public Relations Liaison. Fritchman’s background in sales & marketing started in Portland and included a stint as PR Director for the Portland Timbers. She subsequently moved to Bend, and has spent the past 10 years in the telecommunications industry. This experience, along with her enthusiasm for helping local businesses, makes her an excellent fit at BendTel. Asked to list the primary decision-making factors behind her career move, Fritchman cites two: 1) BendTel’s local ownership; and 2) the breadth of BendTel’s business phone & Internet service offerings. She also notes the solid reliability of BendTel’s phone & Internet services as a distinct advantage to its customers. Fritchman’s enthusiasm for fostering the wellbeing of local businesses is in keeping with her interest in the community as a whole. She lists yoga, traveling to Guatemala and spending time with her husband and 3 boys as chief pursuits in her spare time. 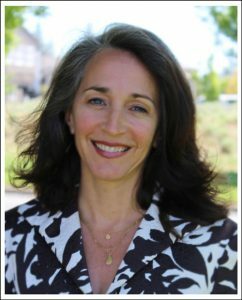 BendTel extends its hearty welcome to PJ, and is excited for her to continue working with the Bend business community in her new role at BendTel!